I know everyone of us has heard that from their Mom. We, for the most part, ignored them because our hearing came back after the concert a day or two later. It’s OK, right? Then as you get older you notice the change and maybe your Mother was right. But you ignored her. But now you’re a kayaker. Badass and brave. Cold means nothing because you have the gear. Photos of you with icicles hang from your helmet and a sheet of ice covers your dry suit. I have a lot of those kind of photos myself being in Minnesota. But what does this have to do with your ears? Ears are one of the most important parts of your body. Not only is it your hearing but it is the center of your balance. Who cares if your hearing goes. You can get aids for that. But balance? It is everything to a boater. But wait. There is worse. Did you know that even one douse of ice cold water in your ears can throw your balance to the wind? One flip and then you can’t even stand up because your balance is gone? Divers and surfers will kick start their hoodies by pouring warm water in them to protect their ears from the shock. It’s a very real thing. Repeated exposure can develop a sensitivity to cold so it will happen more and more. Damage will happen. It can stop you from ever getting into a kayak again. Balance in the human body does not only rely on the inner ear but on a complex combination of sensors working together. The inner ear, the brain, our eyes, our neck muscles and every joint in our body all must work in harmony for optimal balance. A breakdown of one of these can create vertigo, dizziness, blackouts etc. Lets start with the inner ear. Protection from cold water is what needs to happen every single time. Getting the inner ear fixed after it has become damaged is very near impossible unlike the surfers ear. Protection such as water specific ear plugs. Neoprene hoods. Helmets that have ear protection. Every cold water paddler should take these precautions every time they put on or their paddling years can be shortened considerably. The class of water you will feel comfortable on will also be reduced. The brain is a tricky one. Unless it is damaged it can learn to interpret information differently. Much like getting used to heights by repeatedly going higher. The brain is the processing center of all the information gathered by your balance systems. If the inner ear is damaged from cold the information is skewed. When a major system like the inner ear is sending gibberish the brain has a hard time of understanding where optimal balance is. It will need to learn to rely on your other sensors to establish balance. Eyes. They see all. Until they’re underwater. Our eyes are one of the three major sensors in our quest for optimal balance but when you flip or are splashed hard in the eyes, that sensor is taken out of the equation. Especially if you are wearing contacts. The three major balance systems are your inner ear, eyes and brain. Flipping on whitewater with a bad inner ear leaves you with one major system if your ear is damaged. This is not good and if you want to continue to paddle hard whitewater it can rob you of that ability. Underwater without your eyes and ears you are left with your joints, muscles and brain. If your inner ear is damaged you will have a hard time trying to roll up. Prevention is so very important. Lets talk about the peripherals. The joints of your body. Your fitness plays a big part in your balance also. Movement, strength and flexibility in your joints are key to keeping optimal balance. Pay close attention to your ankles and knees. Keeping joints healthy is an every day effort. Age and disease like arthritis can also steal our balance. Other health issues should also be considered such as diabetes and high blood pressure. If you find your balance is going, a complete check up by your Doctor is the first step. Don’t wait. 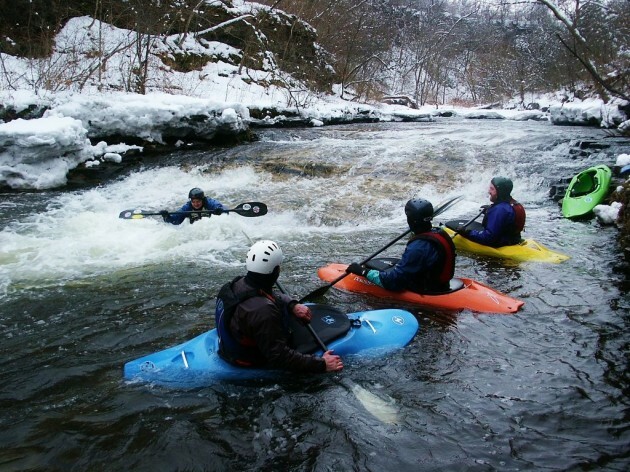 Many of our beautiful whitewater rivers are ice cold snow melt. If you are young and running the gnar protecting your ears is something to consider. What are some of the things you can do? I’ve mentioned kick starting your hoodie with warm water. Hoodies are very good protection for your ears. Ear plugs, like Docs, are wonderful and they allow you to hear while wearing them. There is also an option to have a Doctor make customized ear plugs for you. There are many styles to choose from and fit and proper placement in the ear is the key. Helmets can also offer ear protection. The Sweet Rocker is one that has great ear protection. Full face helmets offer a good block against splashes but should be combined with a hoodie and/or plugs. Combinations of all three are great! The temperature of the air and water and difficulty of the river will dictate how much you want to wear. I know I sound like a Mom but a Mom usually doesn’t give you the reasons for her “wear ear protection” speech. River Moms do. The horrors of cold water on your ears have not been talked about enough. We all know about surfers ear but be aware that there is more and worse out there that can happen to your ears from cold water. Take this article and make an informed decision for yourself. Be the best you can be on the river so you can enjoy this wonderful sport for a lifetime. You don’t want to walk away from a swim walking like Captain Jack Sparrow. I started sea kayaking in 2002 and quickly progressed to whitewater. I am an ACA Whitewater Instructor and I volunteer teach through Rapids Riders. Between kayaking and surfing I can see why many people have spent their lives beach bumming. If I could I'd become a river gypsy full time. There's nothing I love more than to be on a river. I travel and love to take photos of people in their "rock star" moments. I have one really great son, Shane. Winter comes and I snow kite, cross country ski, Downhill ski, Telemark ski, rock and ice climb and mountain bike. Always looking for the next adventure whether it's in my back yard or miles distant...when you look you will usually find one. I'm also an agate nut!